Did you know that an average office keyboard and mouse can contain as much as 400 times more germs and bacteria than a toilet seat? That’s pretty disgusting, especially when you start to imagine opening a bag of crisps and eating them – after having typed that email! Like all surfaces you touch throughout the day, your keyboard and mouse are places where dirt and germs can collect. If you share a computer, this problem can be multiplied. Such bacteria can cause any number of ailments and illnesses, such as diarrhoea and other stomach upsets. The main cause of a bug infestation is eating lunch at our desk along with poor personal hygiene, such as dodging the hand washing basin after going to the toilet – yes, there are some that do this! Despite the obvious health hazard of a dirty keyboard, how often people clean their computers, varies widely. 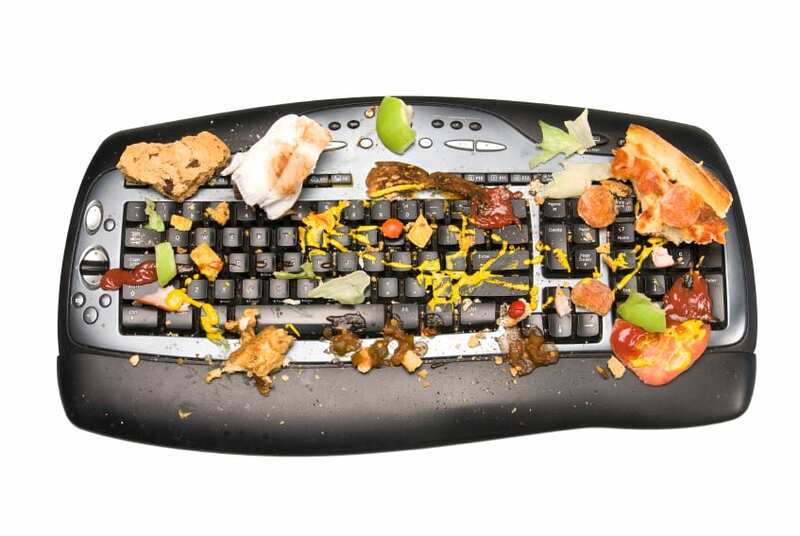 One in ten people say they never clean it, with a further 20% admitting to never cleaning their mouse either. The good news is that preventing these kinds of health incidents is pretty easy. Regularly clean your workspace, especially your keyboard and mouse.